Is there a way to light up a city without street lights? Scientists in China believe they have found a way. Read on to learn more about lighting city streets without lamps. Cities all around the world use street lights to help people see at night time. These lights can help deter crime and make people feel safe while traveling. The cost to keep the lights on during the night may run into hundreds of thousands of dollars per year. In China, researchers believe they have created an alternative to street lights. 3 What About The Animals? By 2020, the Chinese government plans to launch a unique satellite into space. What will this satellite do? The satellite will illuminate the city of Chengdu, located in southwestern China. How much of the city can the satellite illuminate? Researchers believe that it will light between 10-80 km (6-40 miles) of city streets. Furthermore, with precision instruments, the effective “glow” range can be controlled within tens of meters. They believe that the “glow” would be eight to ten times greater than our full moon. With that kind of illumination, the street lights in Chengdu may become ornaments. The concept of artificially illuminating the Earth is not new. The town of Rjukan lies in a valley between two mountains. As a result, they have limited sunlight and during the winter months even less. However, scientists figured out a way to capture the sunlight and beam its rays toward the town. 450 meters above the town, three large, solar-powered, computer-controlled mirrors steadily track the movement of the sun across the sky. The mirrors reflect its rays to the town square and bath it in bright sunlight. It took almost 100 years for this idea to come to fruition. Sam Eyde, the founder of the town, had conceived the idea, but could not make it happen. Ultimately, time and technology resolved the issue and the town benefits from the light. What about the animals that come out at night? Would this soft “glow” affect their pattern of behavior? 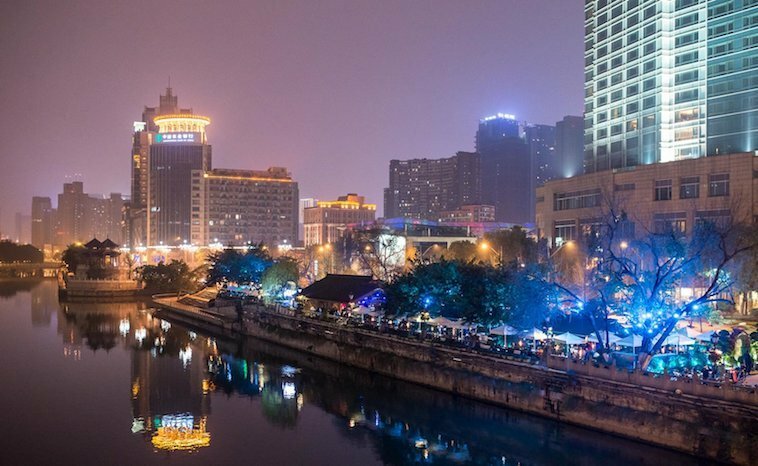 With regards to Chengdu, the illumination would primarily affect the people living in the city. In 1999, the Russian government attempted to launch mirrors into space. During this time, people raised their concern over the impact of nocturnal animals. However, the satellite misfired at launch and never made it into space. Kang Weimin, director of the Institute of Optics, School of Aerospace, Harbin Institute of Technology, “explained that the light of the satellite is similar to a dusk-like glow, so it should not affect animals’ routines”. If this idea does work, it will mean that other countries with dark cities may benefit. Residents of these cities could enjoy more hours of sunlight which may help reduce Seasonal Affective Disorder. A mood disorder characterized by depression that occurs at the same time every year. People with SAD often have special lamps to replicate sunlight and boost Vitamin D levels in their bodies. We will excitedly wait for the launch of this “new moon” in 2020 to see if it works for the people of Chengdu, China.